are calculated on your total purchase by value bands: Up to £4.99 is £1.90; £5 – £24 is £4.50; £24 – £60 is £5.50; £60 – £200 is £6.50. For purchases over £200 delivery is FREE. 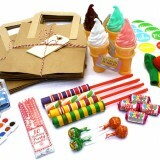 Make your kids party easy! 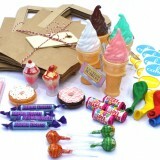 Order a party box to give your whole party a theme. Already have a theme idea? 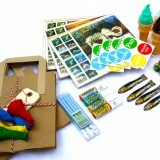 Why not try our party bags. © 2019 Mrs Fox's Children's Crafts and Parties All rights reserved.